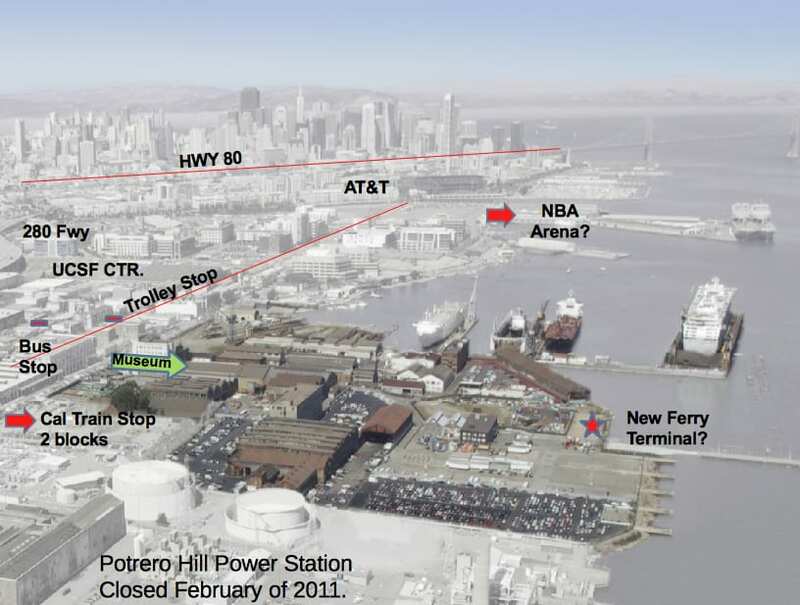 Pier 70 is the most intact industrial maritime complex west of the Mississippi River. It has operated as a ship building or repair yard since the Spanish American War and continues today. The waterfront site—which spans 25 acres—boasts the potential to accommodate upwards of three million square feet of commercial space, with 260,000 square feet of historic structures to be redeveloped or restored. 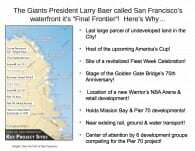 Pier 70 will provide up to 20 acres of new waterfront open space and a major new segment of the San Francisco Bay Trail for both residents and visitors to enjoy. During the renovation of the main complex, we will build and place Kiosks along the southern portion of San Francisco’s waterfront. We are investigating the possibility of leasing Pier 66, which is adjacent to the Pier 70 complex. When construction has been completed on this phase of the project, we will work with the developers and the Port of San Francisco to create and place our exhibits throughout the south side of the development. Once construction has been completed, we will place murals and sculptures in the courtyards and lobbies of the site. 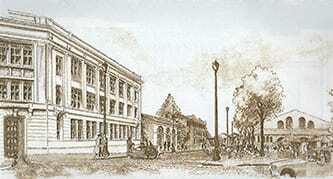 The offices, lobbies and restaurants of the campus will have historic exhibits and photographs displayed. intend to use donated materials and provide training for the high school students involved in the construction process. We will partner with public high schools to build our kiosks with donated materials and then place them free of charge along the SF Bay waterfront. Some will have security cams with the exact location of cameras to be determined at a later date. In San Francisco, we will consult with the Port of San Francisco, the Blue Greenway Committee and the Southern Waterfront Committee. Place solar powered kiosks in public recreation areas such as “Crane Cove Park in San Francisco”. These kiosks will have an integrated security camera built into the platform. 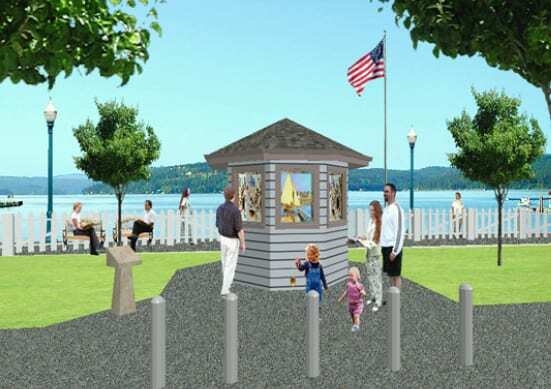 Place electrically powered kiosks in more secure areas such as the “Pier 70 Plaza”. A continuously looping video will provide directions and describe the highlights of the complex. Place other electrically powered kiosks in areas of high tourist traffic. 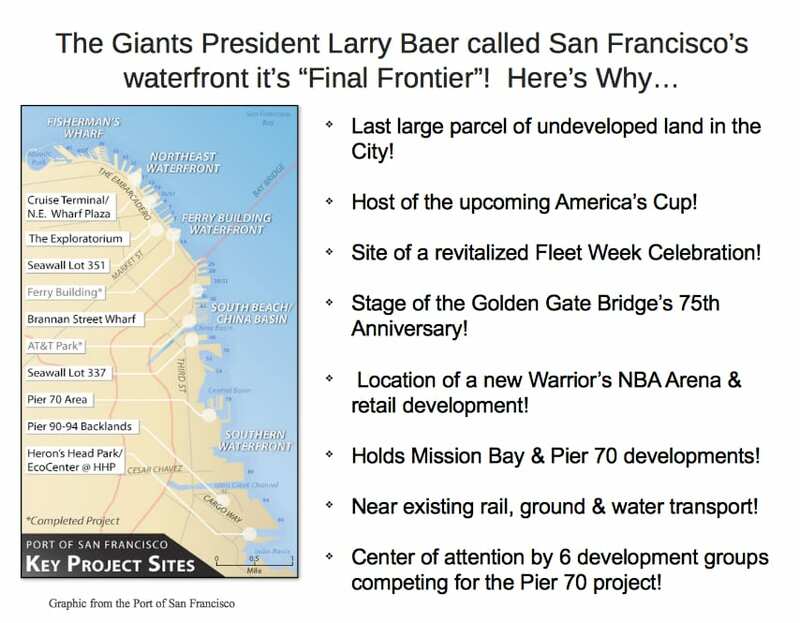 An example would be “Pier 32” , where video will provide the visitor with a history of the San Francisco waterfront. Our partners attractions will also be showcased (e.g., SS Jeremiah O’Brien, Golden Gate Bridge Museum, French D-Day Museum, etc.). Place benches, tables, trash receptacles and descriptive signs around “Pier 70”.